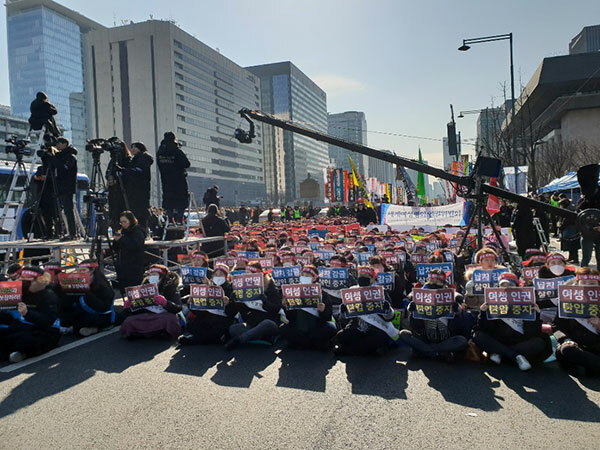 Shincheonji, Church of Jesus, the Temple of the Tabernacle of the Testimony (SCJ), hosted a mass rally at the Gwanghwamun Square in front of the Government Building in Seoul on Jan. 27, 2019. The organizers claimed that a total of 30,000 persons participated in the meeting. 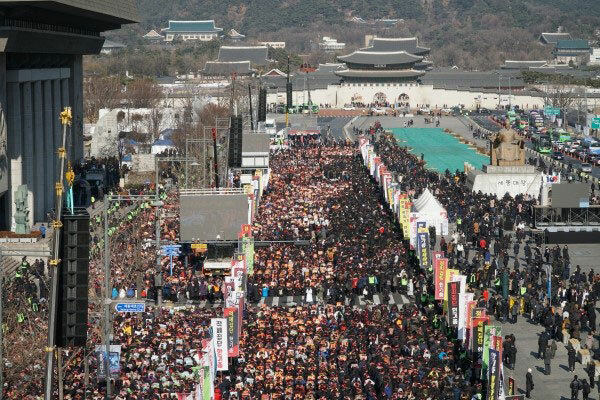 An estimated 30,000 citizens rallied at the Gwanghwamun Square in Seoul in front of the Central Government Building on Jan. 27, 2019. Demonstrating membes of the Shincheonji Church in Seoul. In the backdrop of the rally is seen the Gwanghuamun Gate. Participating in the meeting were leaders and members of the International Peace Youth Group, Committee for Youth Hhuman Rights, Shincheonji Church Interdenomination Mission Association, Human Rights Association for the Victims of Coercive Conversion Programs, Committee for the Human Rights of Women and Peace of the World, Alliance of Clergymen for the Realization of Dissolution of the CCK, All-denomination Christian Movement for the Prevention of Corruption, International Youth Peace Group, and the Human Rights Alliance against Involuntary Religious Conversion. 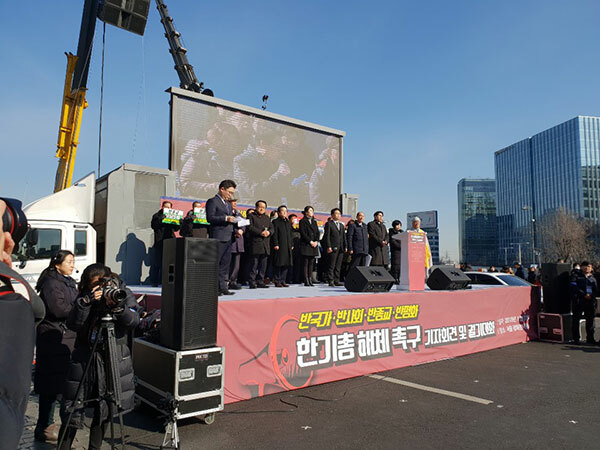 Speakders at the Shincheonji rally demand the dissolution of another Christian organization. In addition, there were representatives from many Christian women’s organizations and Buddhist associations. 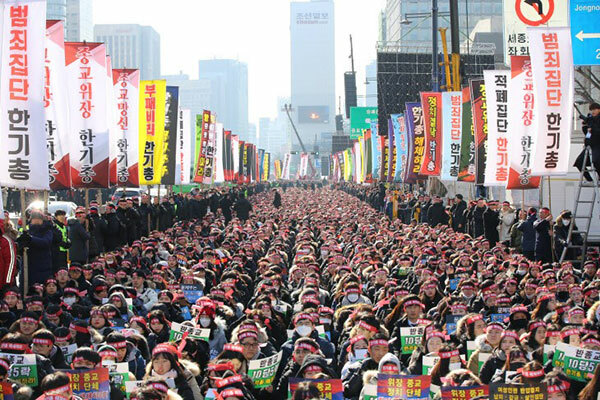 Demonstrating supporters of the Shincheonji Church in Seoul demand the dissolution of another Christian orgnaization obviously opposed to Shincheonji Church.